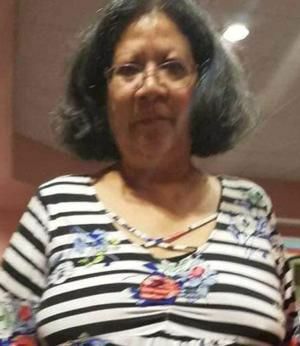 SAN BENITO — Police are still looking for resident Marta Elva Moreno. She went missing a week ago and a Silver Alert was placed soon after. For days, patrol units, family, friends and community members have been out searching for the 60-year-old San Benito resident who suffers from dementia. Galvan said he was out all day yesterday assisting community search parties that organized trying to locate her since Sunday. According to police, Moreno last talked to family members on Thursday. Reports state she was last seen on the 400 block of Mockingbird Street last Wednesday. Police said her last cell phone call came from a cell phone tower on FM 509 near the Tractor Supply store between San Benito and Harlingen. Moreno’s niece, Ruby Rivera, has been sharing photos and updates on Facebook. Rivera says her aunt has called several times but has been unable to tell them where she is located. “When she called the first time all she said was that she was stuck in the car and couldn’t open the door,” Rivera said. Moreno was a teacher at a number of San Benito schools, including Rangerville, Dr. Cash and Sullivan elementary schools. Former classmates say she graduated in 1977. Anyone with information is asked to call San Benito Police at (956) 361-3880.